Could the War on Cash Actually Dethrone it? 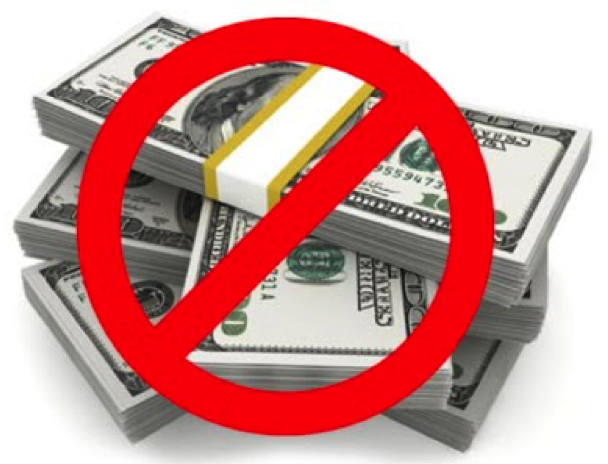 The Dethroning of Cash: Discouraged, Penalized, Even Banned? Stock market gyrations and deteriorating global economic conditions in the early goings of 2016 sent investors fleeing for safety. Or at least what is commonly thought to be safety. But how can cash be king when central banks around the world are working diligently and creatively to PUNISH holders of cash? The latest country to take the plunge into negative interest rates is Japan. On January 29, the Bank of Japan pushed its deposit rate into negative territory. And our own Federal Reserve just asked U.S. banks this week make sure they, too, are ready for negative interest rates. Central bankers have proven that 0% is no floor when it comes to interest rates. But negative interest rates create some peculiar problems. In theory, assessing interest on deposits rather than paying it out encourages funds to flow back into the economy. Negative rates make banks more apt to lend and consumers more likely to spend. Unfortunately for the banks, though, negative rates encourage withdrawals of cash for hoarding. After all, dollar bills that pay 0% interest have a higher yield than savings accounts that charge interest! The government surely doesn't want to encourage a flight to physical cash. It drains the banks of their liquidity. And when cash transactions take place outside the banking system, authorities can't track them, and that makes tax collectors jealous. Of course, government officials have a solution in the works: Ban coins and paper currency notes altogether. That's the end-game of their war on cash. In the cashless society of tomorrow, bank depositors won't be able to escape negative interest rates because they won't be able to withdraw any actual cash to stuff under the mattress. Cash won't be king anymore. It will be dethroned digitally. And when that happens, financial privacy will largely be a thing of the past. This isn't wild conspiracy theorizing on my part. The abolition of cash is being planned by bureaucrats and openly cheered on by elites in finance and their mouthpieces in the establishment media. In it, they bash cash as “dirty and dangerous.” They envisage a glorious future in which governments can electronically thwart “tax evasion” and central banks can “impose significantly negative interest rates” knowing that bank depositors won't be able to escape them – at least not by withdrawing cash. 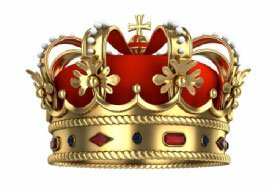 In the cashless society of the future, the most viable alternatives to cash will be king. Bitcoin and other underground digital currencies will play a role for some people in some types of commerce. But even prominent Bitcoin proponents admit that the government could disable the crypto-currency. Moreover, since Bitcoin has no legal tender or intrinsic value, the price of Bitcoin could conceivably go to any number, including zero. On the other hand, tangible alternative currencies such as gold and silver bullion coins will never go to zero. Gold is known as the Midas metal because it is the money of kings. It is also the king of money. Why? Because gold has the longest running history of being used as money and still to this day serves an important role in the monetary system. Perhaps crypto-currencies that are backed by gold will emerge to solve some of the shortcomings and vulnerabilities of Bitcoin. In the meantime, the digital currency revolution risks being co-opted by governments that like the idea of herding the masses into all-electronic transactions. China is now looking into establishing a digital currency for everyday commerce. As much as governments would like to create a “cloud” economy, the reality is that if even if they succeed in abolishing cash, they can't eliminate barter and trade conducted through alternative tangible instruments. Gold and silver will always have a market value in terms of dollars or digital dollars or crypto-currency units. So it's a simple matter to determine how much metal to offer or accept for any given transaction. The upshot: Government agencies cannot track the movements of pure precious metals bullion coins, rounds, and bars. Investors who have rotated out of the stock market and into cash recently would be wise to consider rotating from cash to precious metals. Gold and silver prices have risen modestly amidst the downdraft in equities. The metals have the potential to show more significant gains in the months ahead. And with negative interest rates approaching, they will have a higher yield as well. By contrast, cash offers no real upside. It offers only the opportunity to avoid losses in other assets (by being out of them). But as the war on cash intensifies – whether through a devaluation of the dollar, negative interest rates, or an outright end to coin and paper bill circulation – holding cash in any form figures to become a lot riskier.